Calapooia Middle School Cougars are Courageous, Leaders, have Integrity, have a positive Mindset, Belong at the School. These character traits spell out CLIMB, a new student engagement initiative that uses mountain climbing as a metaphor for overcoming obstacles and reaching goals. The program is a new idea from teachers Stephanie Watson and Margo DeYoung. “Our teachers and administrators were looking to change our school climate, increase students’ engagement in school, and re-imagine our character education goals,” said Watson. 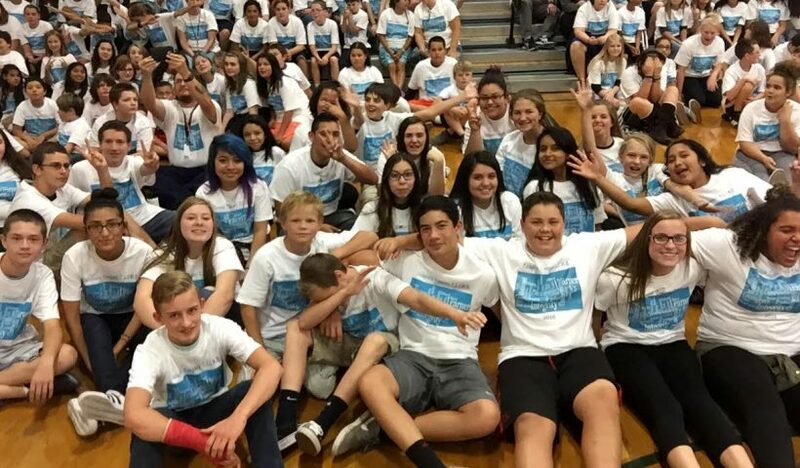 Over the summer, Watson said, a group of five teachers came together and wrote Base Camp (advisory) lessons for 6-8 grade that they felt would help meet goals and student needs at the school. 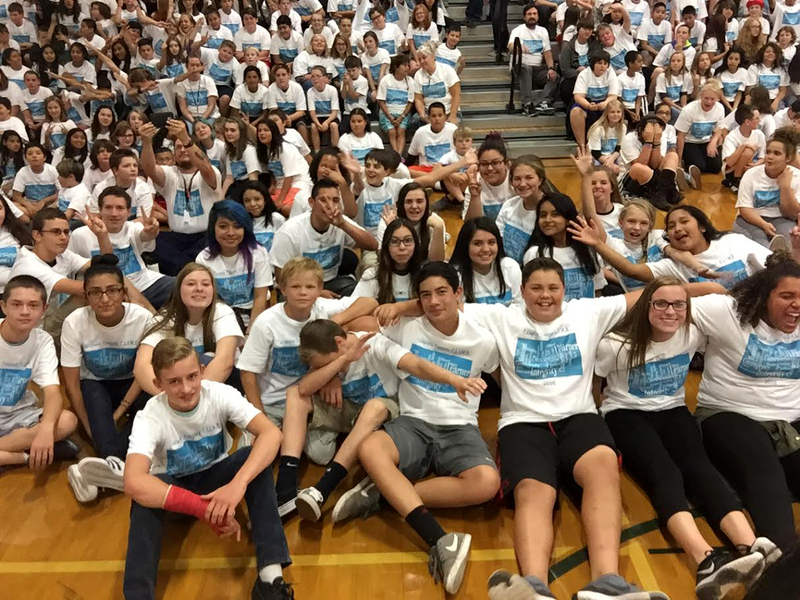 CLIMB kicked off with a student assembly where students learned their mountain climbing goals and received team t-shirts. Learn more about Calapooia CLIMB.